Fair Housing is not an option. 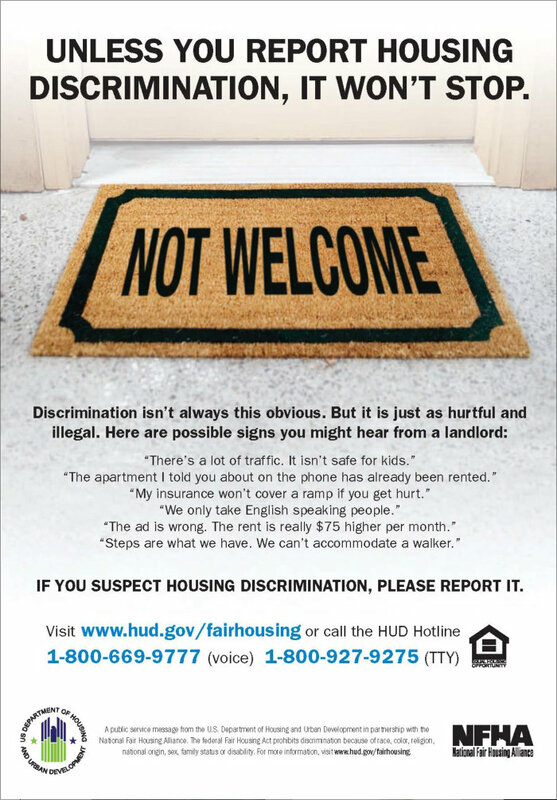 It’s the law. 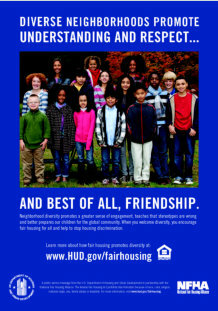 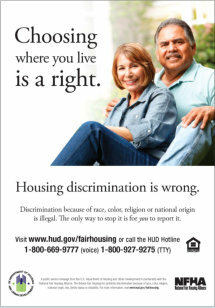 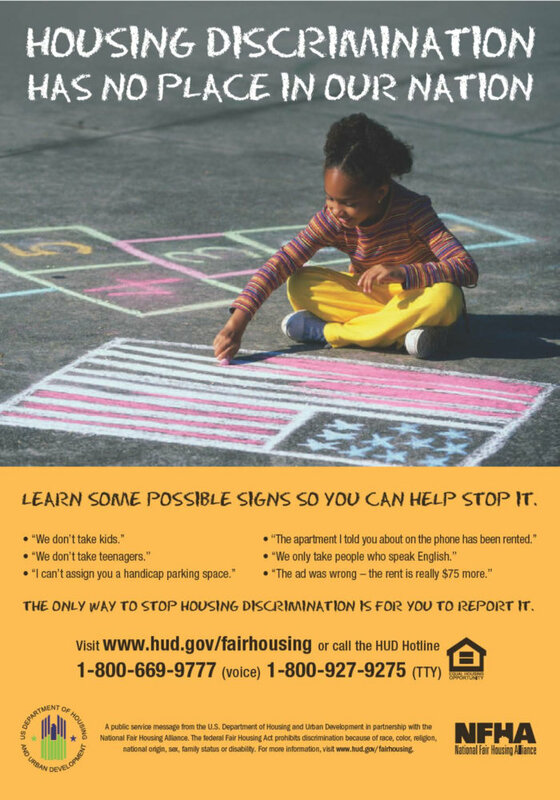 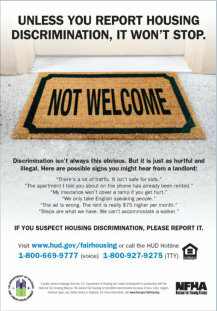 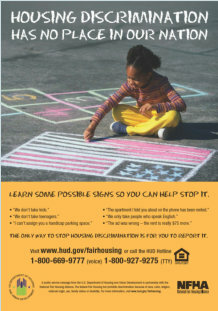 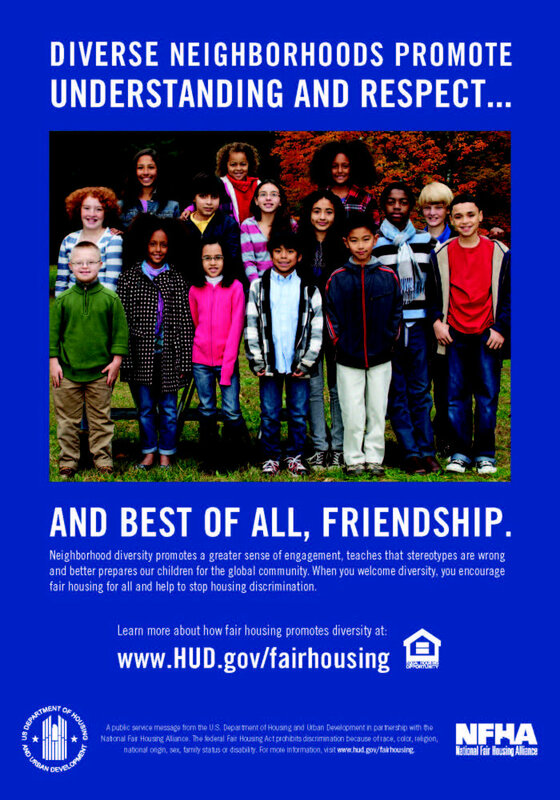 HUD Fair Housing Ad Campaign and National Fair Housing Alliance - including posters in English and Spanish and PSAs. 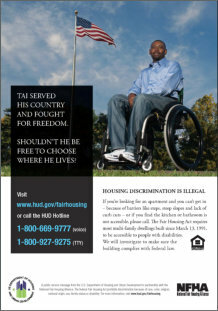 Click the link above to access any of the posters shown below, plus more. 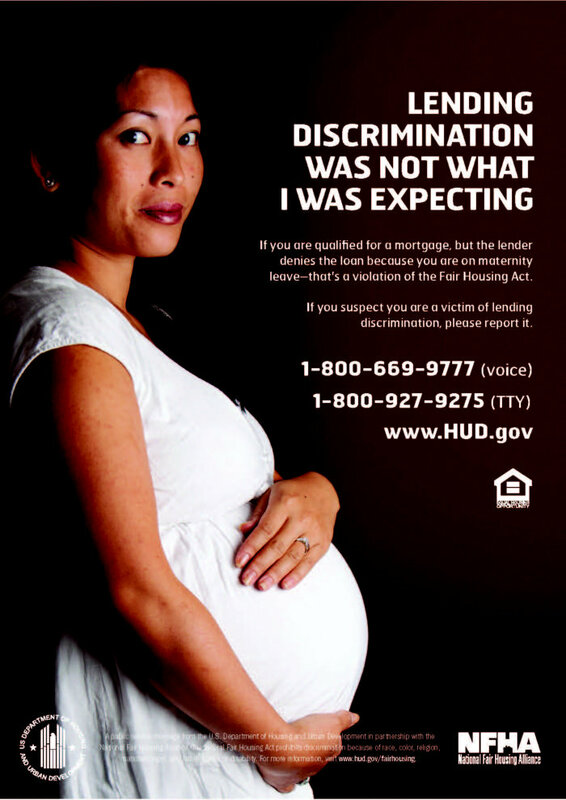 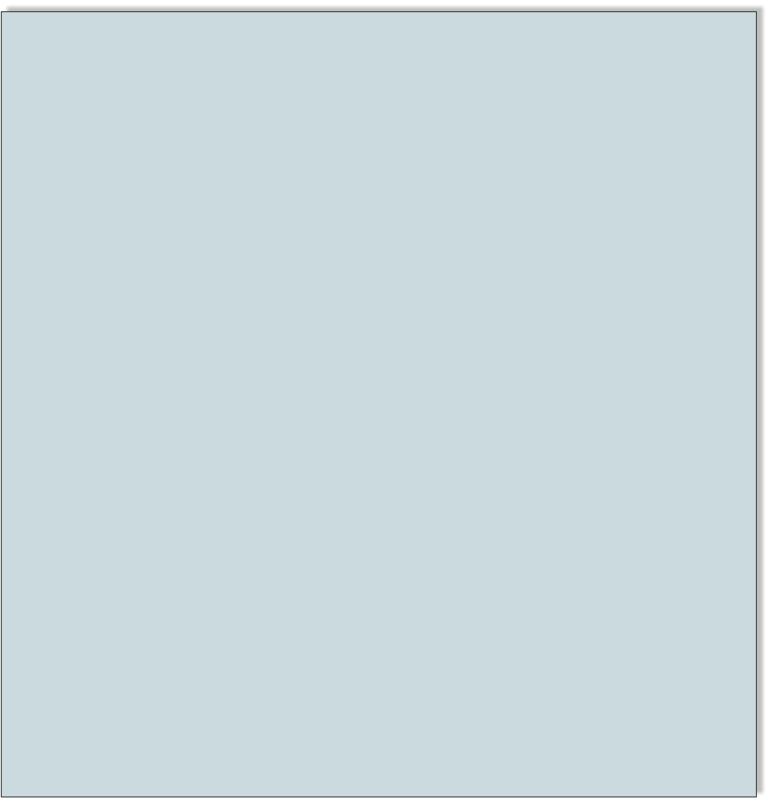 Click on any image below to see a larger version.